Want to sample innovative varieties of local Ales, Lagers, IPAs, ciders and root beer at our small local craft breweries and taprooms? Want to see where the wheat and barley is grown? Want to learn about the malting process and see where it happens? 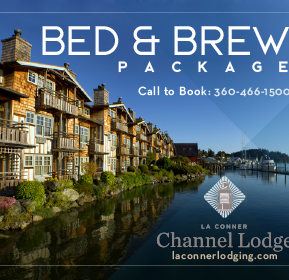 The Skagit Brew Tour is just for you! Let the local guide drive you around the farm fields, to the malting facility and to some of the breweries and taprooms so you can experience the magic in our Skagit Valley Beers! Along the way, learn the three reasons why our beers taste so special! We, in Skagit, are proud to say that our dirt is in our beer! And that we love our low C footprint beer grown, malted and brewed right here in Skagit Valley! When you visit the eighth brewery, you will receive a celebratory pint glass! CUSTOM & PRIVATE TOURS AVAILABLE! PLEASE INQUIRE.